The Andis #40 Replacement Clipper Blade is a chrome plated, carbon-edged blade set for Andis detachable blade clippers. Can also be used with other brands of detachable type clippers. Andis' universal attachment combs will fit this blade set. Cuts at a height of .25mm (1/100") Blades fit all Andis, AG, AGC, AGR, MBG and Oster A-5 Models. The fine blade is also the preferred choice for body clipping horses. Comparable to a US #15 blade. 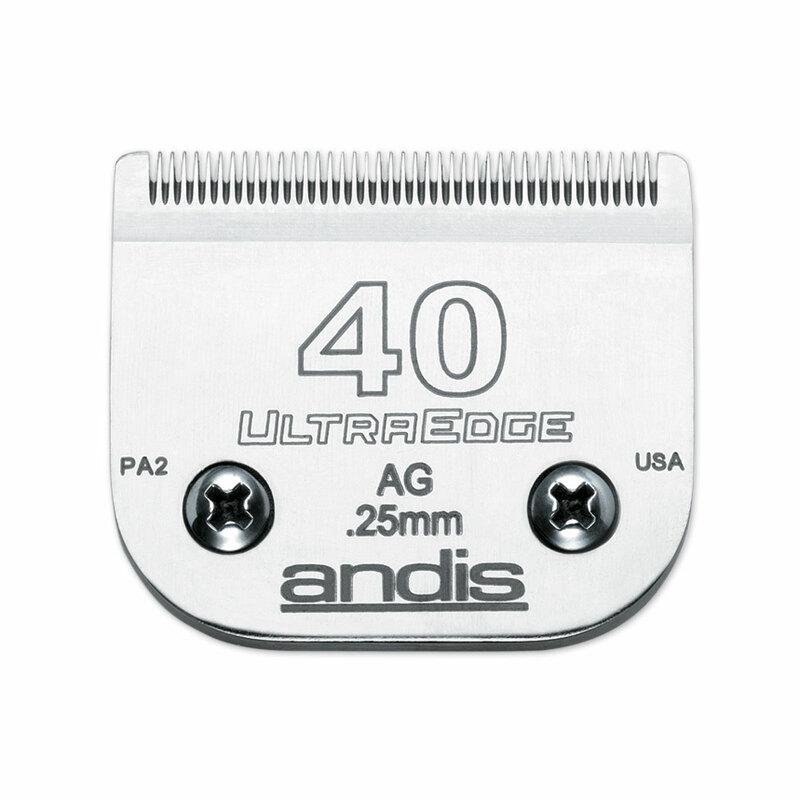 Andis #40 Ultraedge Replacement Clipper Blade is rated 5.0 out of 5 by 5. Rated 5 out of 5 by mlw14 from Great clipper blade! Exactly what I needed to trim my horses ears. Rated 5 out of 5 by DocD from Cuts great! Have used this clipper blade for surgical prep and it cuts very nicely. Rated 5 out of 5 by grayarea36 from Great blades for close ear trims! These are great blades for getting a good close trim in the ears for showing or on the muzzle.